Chip board is one of our most populous products, and is used throughout many industries in a huge variety of ways. It is popular because it is made of recycled materials, and is incredibly versatile, as it can be made very thin and flexible, or rigid and thick enough for furniture and even construction uses. In this article, we review some of the most frequently asked questions we receive about chip board. • What is chip board?Chip Board is sheet of compressed fiber paper that is made of 100% recycled materials. Imagine a cardboard, but without the corrugated center...it is not hollow; instead, it is compressed into a solid sheet. The sheets can be made in a variety of thicknesses, from thin boards used for things like cereal boxes, and thick boards used for things like ring binders. • How is chip board made?Chip board received its name from the fast that it is made from chipped wood. This wood chipping process reduces wood waste and uses as much of the wood as physically possible. Simply put, wood is chipped through a machine to produce tiny particles that are then dried, screened and sorted, and compressed together. Chip board is comprised of layers, and heat is used while compressing, which causes the particles to stick together, creating a solid finished piece. Check out this detailed article about how chipboard is manufactured on Hunker. • How thick is the "point" in inches?Point is equal to 1/1000 of an inch, so to convert a point measurement to inches, you would move the decimal place to the left 3 places. For example, a 140 point is equal to 0.14" thickness. Thicker chipboard is made of thinner boards compressed together into layers, so it looks like multiple sheets layered on top of one another. • What else is chip board used for?Chip board can be used for a huge variety of other things. It has become very popular with scrapbook and artists, in particular. It can be found on the back of your legal pads, is used for ring binders with vinyl or other materials being wrapped around it (or sometimes it is plain without material for an eco friendly binder), for pocket folders, and so much more. • Is chip board the same as cardboardNo, chip board and cardboard are different. Cardboard (or more accurately, corrugated board) features two "faces" that surround a corrugate center (the wavy part, sometimes called flutes). Chip board, however, is completely compressed and features no hollowness or fluted core. • Is chip board the same as particle board?Yes and no...particle board is made by the same process as chip board, and if you Google "what is chip board" it will come up as a different name for particle board... however, they have two different names for a reason. Particle board is more often used to describe structural items, like furniture, while chipboard is much thinner (even in its thickest forms) and used for the purposes described in this post, such as ring binders, crafting, paper pad backings, and more. Particle board also often has some hollowness between the particles, whereas chip board is compressed completely so there is no air within the material. • What color is chip board?Because chip board is made of 100% recycled materials with no virgin materials and no added colors, the color will range between brown and gray, often times with little speckles throughout. This means that each piece of chip board is one-of-a-kind, and the color of the boards is always unique. 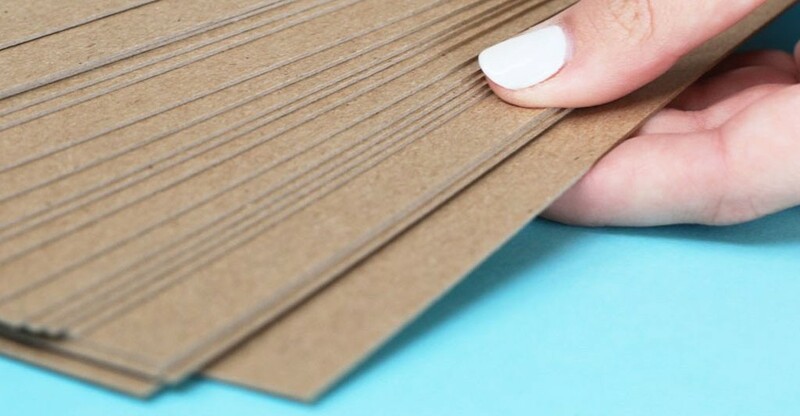 • What is the thickest chipboard?If we're talking about chipboard for book making and crafting (rather than chip board/particle board for construction and furniture) then the thickest board we typically make is a 130 or a 140 point, depending on availability. • Can chip board be customized?Yes! 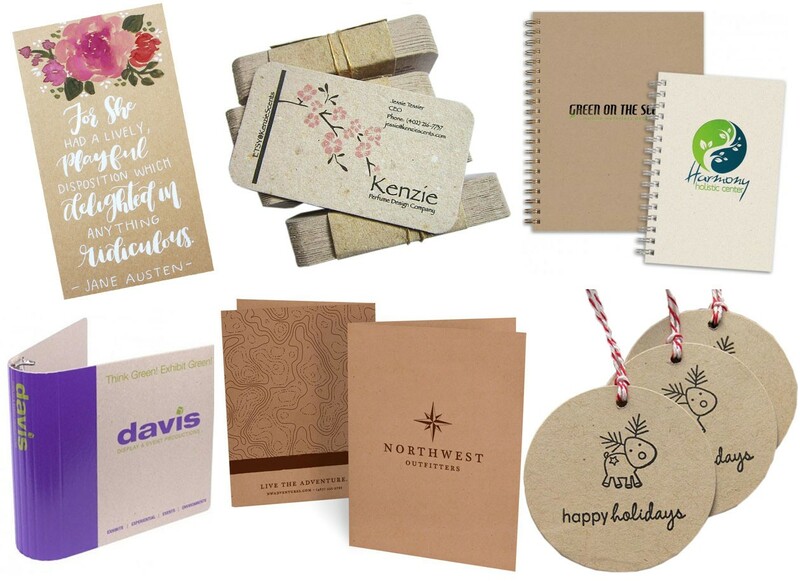 Not only do we offer special thicknesses of chip board from as thin as 20pt p to 130 or 140 pt, but we can also custom cut them down to size, as well as print and foil on them to meet a huge variety of needs. Check out just some of the customization options below, and click here for more info on customized chip board.